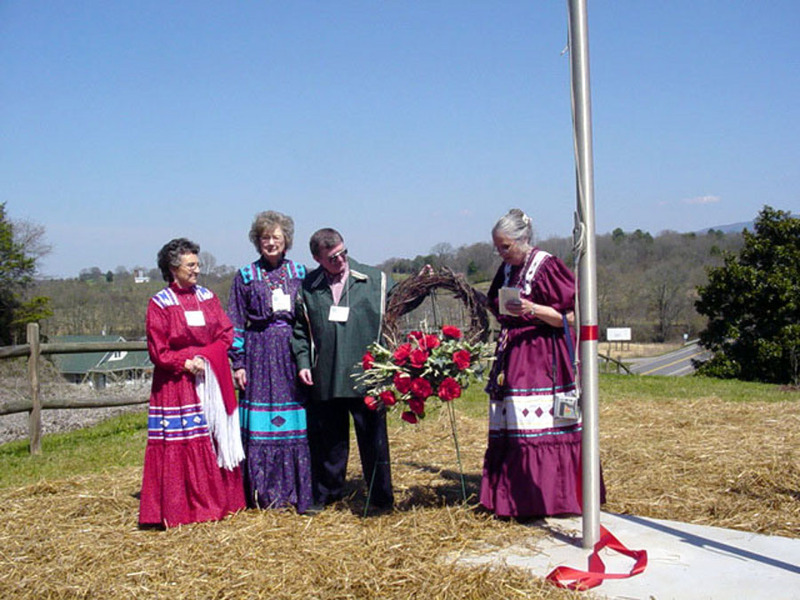 flag raising dedication at Nancy Ward’s grave on March 25, 2005. Left to right: Barbara Dunlap, Ruth Faulkner, David Hampton, Mary Adair. Please contact the Nancy Ward Association for more information.